Usagi has come to the airport to see Mamoru off as he heads to the US to study abroad, but someone shatters Mamoru's body to pieces. In shock, Usagi loses her memory and collapses, but a member of the super idol group the Three Lights is there to catch her. That day, the Three Lights were to star in a music festival. Usagi and friends were planning to perform as well, but a new enemy arrives. Calling themselves the “Shadow Galactica," these enemies are Sailor Guardians aiming to steal Sailor Crystals! 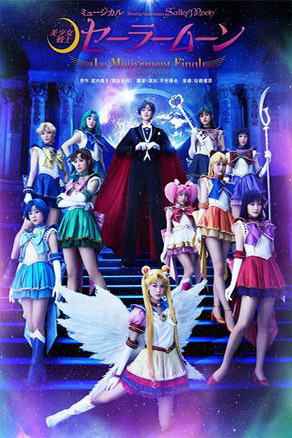 At the same time, a mysterious young girl named Chibi Chibi and a new group of Sailor Guardians, the Sailor Starlights, also appear, and a battle of unprecedented scale begins. Sailor Guardians versus Sailor Guardians! Sailor Moon’s final battle for the future of the galaxy is at stake, and it starts now!